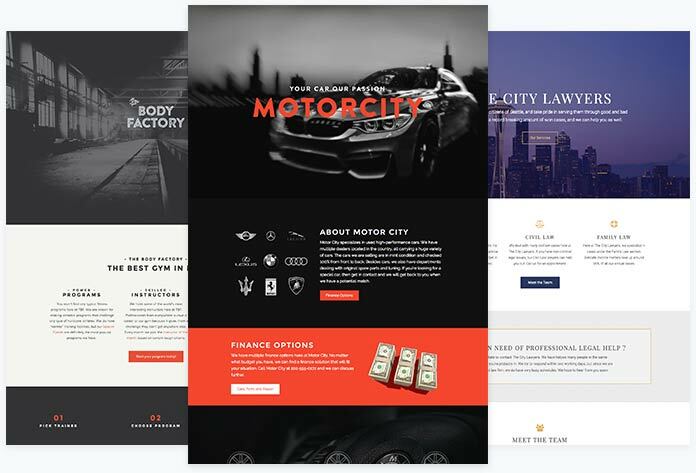 Get your website the attention it deserves with over 30 stunning templates. We did the hard part for you. Swap in some text and images and you're done! 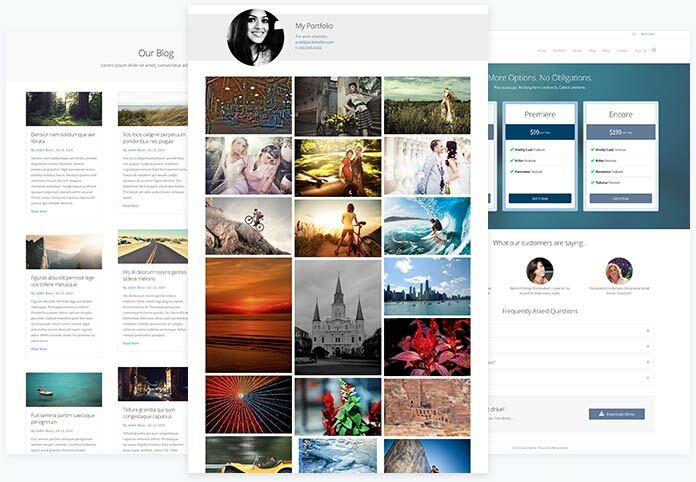 Our templates are included with the Page Builder Plugin and you can use them with any theme. For best results, consider the Beaver Builder Theme. Oh yeah, we got that! All of Beaver Builder's Templates are 100% mobile responsive. Stop wrestling with media queries and ensure your website looks amazing on every device. Professionally Designed and Highly Customizable. Beaver Builder's Templates are designed to get the results you're looking for. Easily give your website a facelift with a fresh new design. All of our templates are included with the Page Builder Plugin. No hidden charges. First impressions are critical. Put your best foot forward by using one of Beaver Builder's gorgeous landing page templates. Our selection includes small business templates, eBook templates, law firm templates, and many more. Beaver Builder also includes templates for contact pages, newsletter sign ups, about pages, pricing tables, and more.